Haidee Findlay-Levin is renowned for her iconic style, and not a day passes when she’s not stopped on the street. Her work reflects beauty and sexuality. Her vision is provocative, original, and always empowering. Haidee challenges traditional male and female identity, glorifying both the complexity and fluidity within. In London, Haidee established herself as a Stylist for alternative publications such as Dazed+Confused, i-D, Purple, The Face and Dutch; and as Fashion Editor for the Sunday Times Magazine. As Creative Director for Italian leather brand Ruffo/ Ruffo Research, she identified and collaborated with emerging talent such as Raf Simons, Veronique Branquinho, Haider Ackermann, AF Vandevorst, Sophia Kokosalaki, Paul Andrew, and Paul Surridge. As Creative Director for lifestyle brand Raoul, Haidee oversaw design and brand development, conceptualized and art directed ad campaigns, and pioneered the use of narrative short films as stand-alone branded content. In New York, Haidee is currently contributing editor to T Magazine. In additional editorial capacities, she has worked for Vogue Italia, Nippon, China and Germany, Fantastic Man and The Gentlewoman, Double, Numero and Numero Homme, Man About Town, Hercules, WSJ and The Last Magazine. She served as Fashion Director for Exit and Spin Magazine. Haidee has collaborated with noted photographers Zoe Ghertner, Charlie Engman, Charlotte Wales, Mert+Marcus, Steven Klein, Anuschka Blommers+Niels Schumm, Maciek Kobielski, Anthony Cotsifas, Horacio Salinas, Jennifer Livingston, Carlotta Manaigo, Bela Borsodi, Marcelo Krasilcic, Joanna McClure, Jody Rojac, Matthew Brookes, Donna Trope and Arthur Elgort. 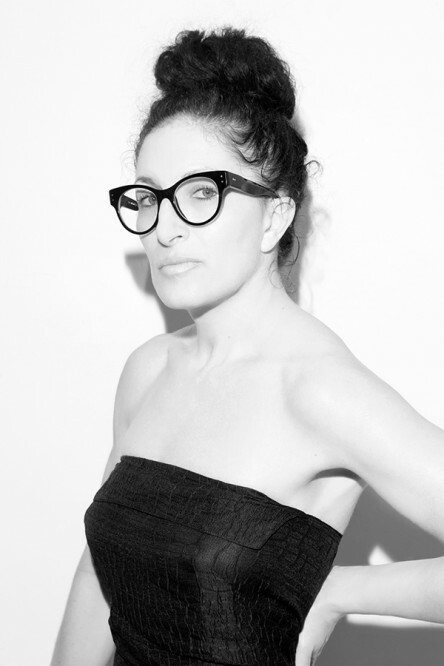 She styled shows and exhibits for Hussein Chalayan, Pucci, DKNY, A Detacher, Creatures of Comfort, Rachel Comey, Tess Giberson, Tom Scott, Bruce, Kenneth Ning and United Bamboo, and assisted on shows in London and New York for Alexander McQueen and in Paris for Givenchy Couture. Haidee champions new talent. Her extensive knowledge of fashion and photography (and her ability to write about it), makes her a resource every creative team values. With her imagination, her keen eye and her celebrated aesthetic, Haidee is one of the top creatives working today.